The incredible original musical, Dear Evan Hansen, will bow on Broadway beginning this November. (The musical, which had a run in DC, is finishing its sold-out, extended run at off-Broadway's Second Stage this week.) 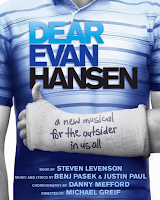 Written by Benj Pasek + Justin Paul (score) and Steven Levenson (book), Dear Evan Hansen conveys what it's like to be teenager now, what it's like to have more opportunities for connection than ever before but still feel lonely. Star Ben Platt gives a deeply affecting performance. No official word on casting, though I can't imagine Platt (and Rachel Bay Jones, playing Evan's mother) wouldn't be asked to make the transfer. A theatre and exact dates have not been announced, but you can visit dearevanhansen.com to sign up for updates. Another production has been added to Roundabout's 2016-2017 season, a revival of Arthur Miler's The Price. Previews will begin at the American Airlines Theatre on February 16, 2017. Opening is set for March 16, and the limited engagement is scheduled to conclude on May 7. The Price will be directed by Terry Kinney, the co-founder of Chicago's Steppenwolf Theatre. Broadway.com has more. ... The Atlantic Theater Company has announced its 2016-2017 season. The Band's Visit, a musical written by Itamar Moses (The Fortress of Solitude) and David Yazbek (The Fully Monty), was originally scheduled to be part of the 2015-2016 season, but was postponed and will bow in the upcoming season. Also on tap is a new David Mamet (Glengarry Glen Ross) play (Mamet, of course, is a founding member of ATC), and a new children's musical, co-written by EGOT winner, Robert Lopez (The Book of Mormon, Frozen). Playbill has more. The first slate of Tonys presenters have been announced. 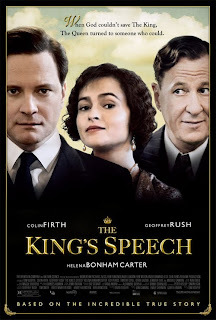 You can look forward to seeing six-time Tony Award winner Audra McDonald (now in Shuffle Along...), Broadway-bound Cate Blanchett, Tony nominee Steve Martin (Bright Star), and Oprah on the June 12 broadcast. Broadway.com has the full list of announced presenters. ... The 2016 Obie Award winners were announced. Among the winners: Lucas Hnath, The Christians and Red Speedo, Playwriting; Stephen Karam, The Humans, Playwriting; Dear Evan Hansen, Musical Theater; Georgia Engel, John, Performance; the Eclipsed ensemble, Performance; Ben Platt, Dear Evan Hansen, Performance; Annie Baker, Sam Gold, and the John design team, Special Citation for Collaboration; and Guards at the Taj, Best New American Play. 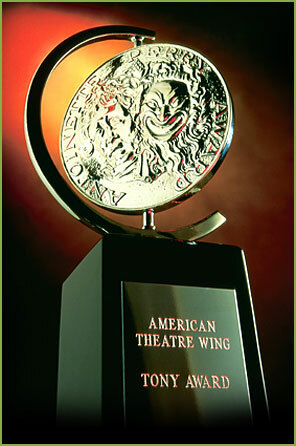 Visit Broadway.com for the full list of winners. The good news is Jake Gyllenhaal will once again take the New York stage in a musical. 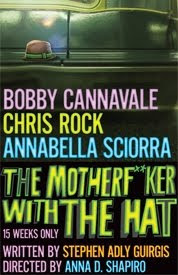 The bad news is it's for a one-night-only benefit concert, and all the (semi-) affordable, performance-only tickets are sold out. Gyllenhaal will play Georges Seurat in City Center's benefit concert of Stephen Sondheim's Pulitzer Prize-winning musical, Sunday in the Park with George. Gyllenhaal graced the City Center stage last summer, to great acclaim, in an Encores! production of Little Shop of Horrors. The Sunday in the Park concert is set for October 24. The New York Times has more. Here's hoping this is a sign of more Jake Gyllenhaal musical goodness to come! In other Gyllenhaal casting news, the Oscar-nominated actor is re-teaming with his Enemy and Prisoner director, Denis Villeneuve, for the screen adaptation of Jo Nesbo's The Son. The Wrap has details. West Enders: For eight weeks, Rebel Wilson (Bachelorette, Pitch Perfect) will play Adelaide in Guys and Dolls. She'll be with the already-running show June 28-August 21. This will mark Wilson's West End debut. Playbill has details. Full casting has been announced for the Encores! production of Runaways. Young theatre veteran Sophia Anne Caruso (Lazarus) is featured in the diverse cast, whom you can meet in the video accompanying the announcement. Runaways will be presented July 6-9. A starry lineup of guests has been announced for the premiere episode of Maya and Marty, the NBC variety show hosted by Maya Rudolph and Martin Short. Guests for the May 31 premiere include Tom Hanks, Larry David, and Miley Cyrus. The Wrap has more. Leona Lewis will take on the coveted role of Grizabella in the upcoming Cats Broadway revival. Cats is set for the Neil Simon Theatre, where previews will begin on July 14. Opening night is August 2. Broadway.com has more. 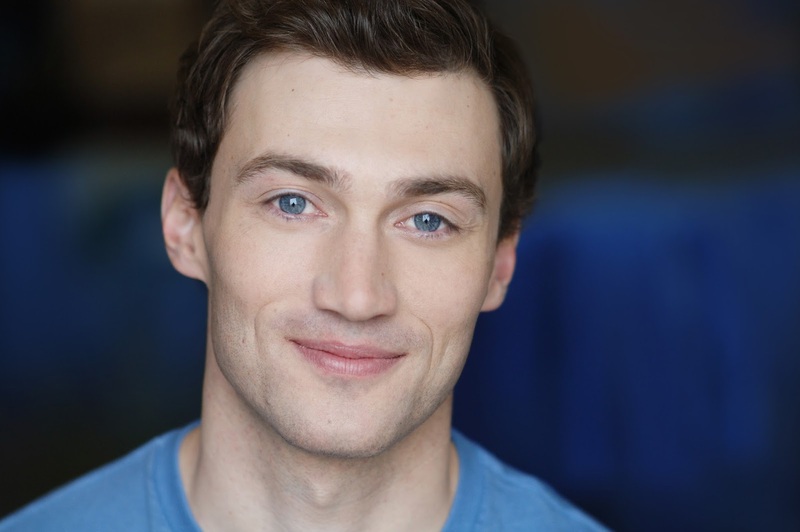 Casting has been announced for the Broadway bow of Holiday Inn, the stage adaptation of the beloved Bing Crosby film that features an Irving Berlin score. Among the cast are Tony nominee Bryce Pinkham (The Heidi Chronicles, A Gentleman's Guide...), Lora Lee Gayer (Doctor Zhivago), Megan Lawrence (Hair), Corbin Bleu, Megan Sikora, and Lee Wilkof (Little Shop of Horrors). A Roundabout production, previews at Studio 54 will begin September 1, with opening night set for October 6. 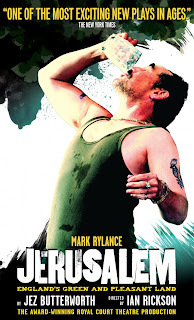 Theater Mania has more. 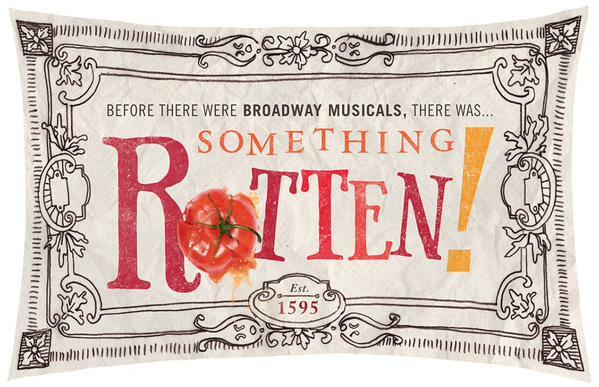 As Something Rotten enters its second year, the cast will undergo some casting changes. Original cast members John Cariani, Heidi Blickenstaff, and Kate Reinders will play their final performance July 16. Waiting in the wings are Josh Grisetti, Leslie Kritzer, and current Something Rotten ensemble member, Catherine Brunell. They'll assume the roles of Nigel, Bea, and Portia, respectively, beginning July 18. Theater Mania has more. Lena Hall will reprise her Tony-winning turn as Yitzhak in the national tour of Hedwig and the Angry Inch. She joins the previously announced Darren Criss, who'll play the title rocker. In an interesting twist, though, Hall will play Hedwig for one performance a week during the tour's stops in San Francisco and Los Angeles. Broadway.com has details. 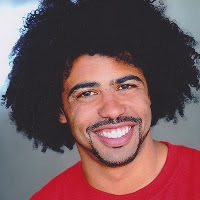 Esquire talks to Tony nominee Daveed Diggs (Hamilton) about growing up in the Bay Area and his life now. Bonus: in a video at the end of the feature, Esquire tests Diggs's rap knowledge. Watch as New York City Ballet's Zachary Catazaro and Joshua Thew show off men's "suits that move" in a New York Times feature video. 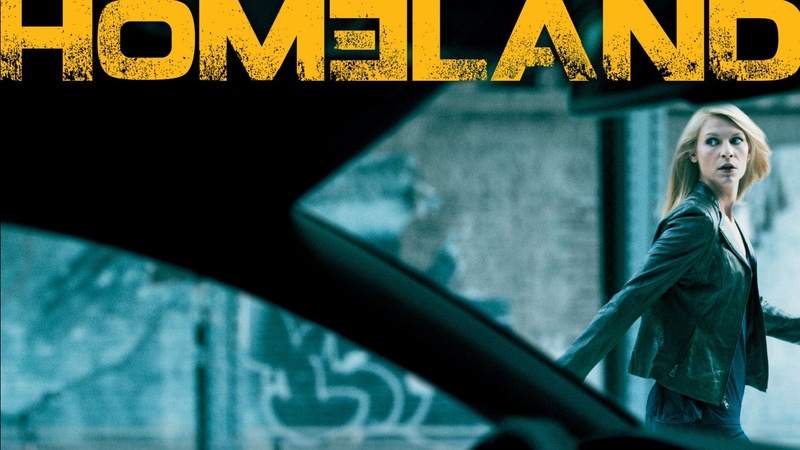 Variety has the scoop on Homeland's sixth season, which is set to take place in the US. The season's action will play out in the days between Election Day and Inauguration Day. The series will return to Showtime this fall.